Sometimes we shy away from wearing Indian garments and prefer western clothing, only to come across as someone who has a more “refined” taste in clothing. 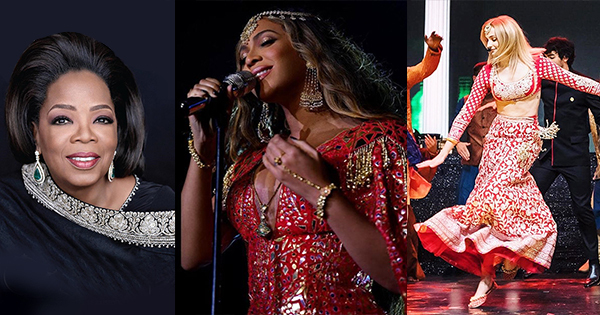 Consequently, this Republic Day, we’ve compiled a list of international celebs, who rocked in Indian outfits. 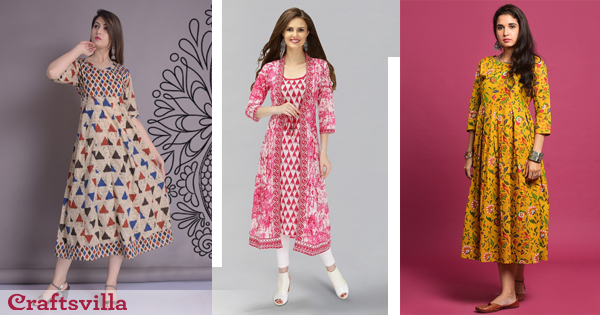 Looks that inspire us to love the traditional Indian wardrobe even more. 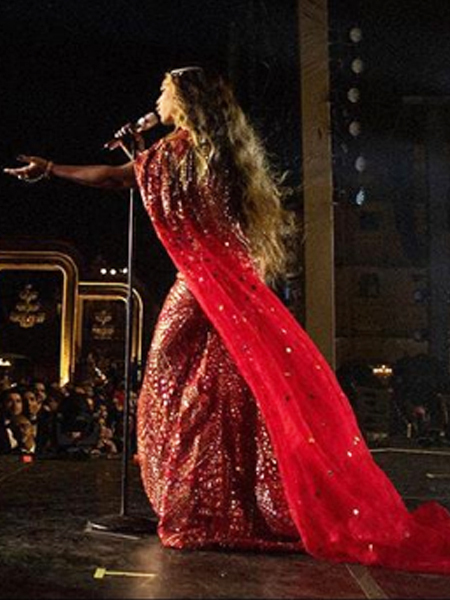 For the Isha Ambani and Anand Piramal wedding that took place at Udaipur in December 2018, Beyonce stunned in Indian at the Mehendi ceremony. We particularly loved this dress inspired with the silhouettes of a floor length kurta dress. The maang teeka and bindi only add more charm to her ensemble. 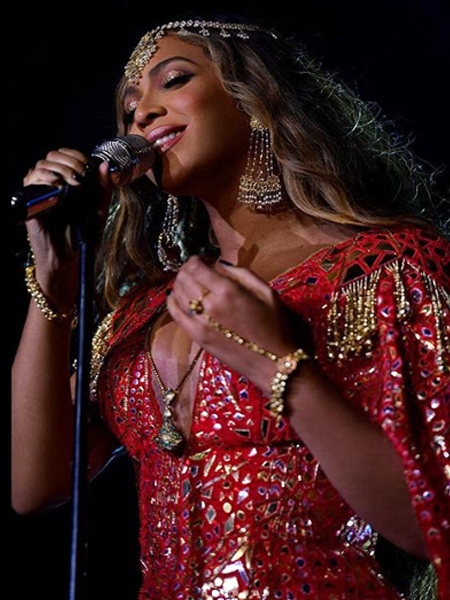 The embellished set was designed by well-known designers Abu Jani and Sandeep Khosla. 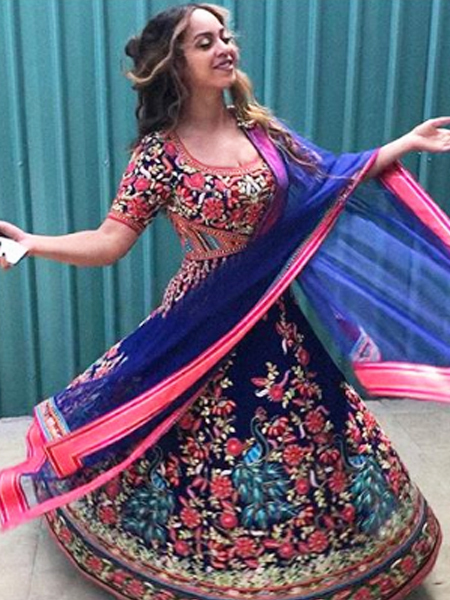 Above all, love how happy she looks in this embroidered lehenga. 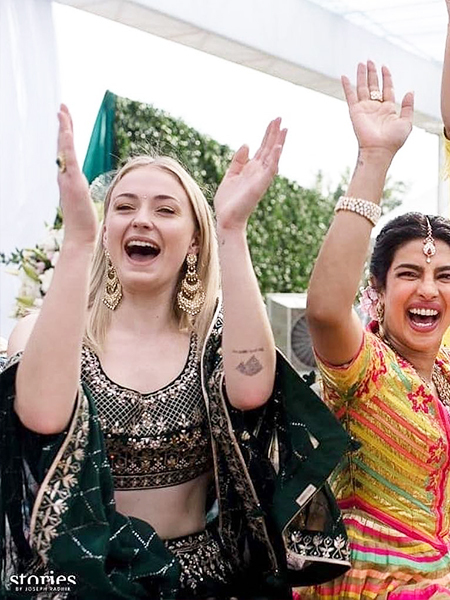 For Priyanka Chopra and Nick Jonas’ wedding, which was touted as the wedding of the year, Sophie Turner charmed us with her numerous wedding avatars. Turner looked ethereal in an Anita Dongre, the ‘Vatsala’ lehenga: an emerald green three-piece set featuring white and gold detailing. For the Sangeet, she wore a long-sleeved blouse and a knee-length lehenga adorned with golden embroidery, designed by Abu Jani and Sandeep Khosla. For the Delhi wedding reception, she wore a Sabyasachi rose gold lehenga complete with delicate golden embroidery and a sheer, and shiny dupatta. 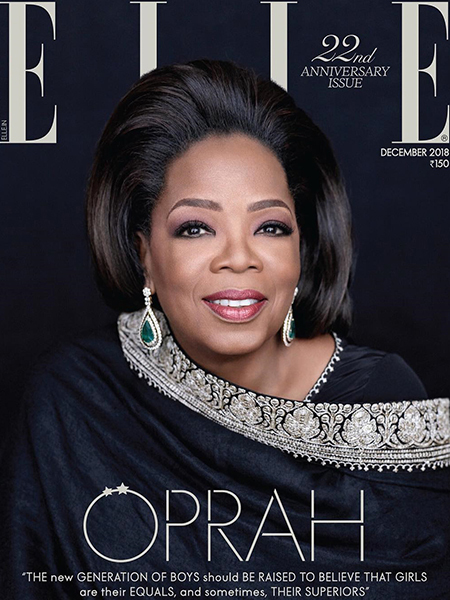 In December 2018, Oprah graced the cover of Elle magazine in a Sabyasachi. Image of Oprah on featured image, courtesy: Elle Magazine. Most noteworthy was that the renowned TV host was draped up in a black wrap ensemble with Kashmiri Tilla detailing. 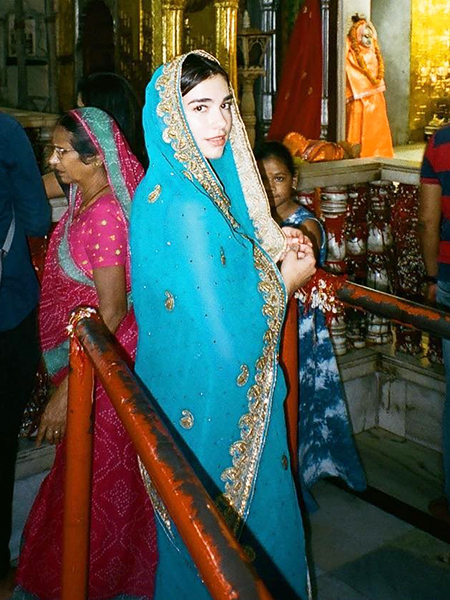 British singer Dua Lipa wore a beautiful blue saree on her trip to India. In a post made by her on Instagram, she writes how a lady outside the temple helped her drape it. Finally, Dua Lipa completed the look with a Pallu before entering a temple in Jaipur. 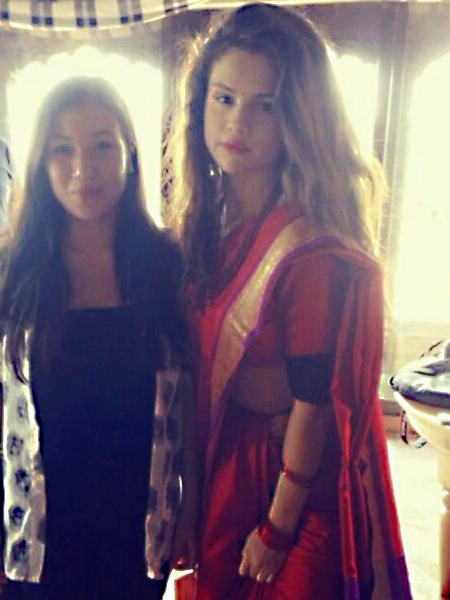 On her visit to Nepal, Selena Gomez went the desi way. She wore traditional orange saree and completed the look with a bindi. Also, don’t miss the bangles. Dressed in a Tarun Tahiliani, Victoria Beckham looks no less than Indian royalty.